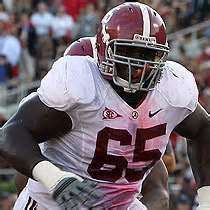 Much has been written about this stud offensive guard from National Championship team Bama. I wrote about him in my pre-combine blog and he is still one of my favorite players in this draft. Highly regarded as one of the most “elite” players in this draft, Warmack is certain to go high and most assuredly fills a position of need for the Titans.